JARVIS, EDWARD JAMES, lawyer, notary, office holder, judge, and politician; b. 1788 in Saint John, N.B., youngest son of Munson Jarvis* and Mary Arnold; m. first 29 April 1817 Anna Maria Boyd, daughter of Dr John Boyd of Saint John, and they had eight children; m. secondly 12 Dec. 1843 Elizabeth Gray, daughter of Robert Gray* and Mary Burns, and they had three children; d. 9 May 1852 at Spring Park (Charlottetown), P.E.I. 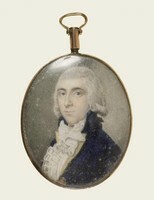 Edward James Jarvis’s father was a leading Connecticut loyalist who removed to New Brunswick in 1783, establishing a mercantile firm in Saint John and serving as a member of the provincial assembly and as vestryman of the local Anglican church. Edward received a ba in 1809 from King’s College in Windsor, N.S., was admitted to the New Brunswick bar as an attorney at law on 12 Oct. 1811, became a notary public in Saint John on 22 Feb. 1812, and in January 1813 sailed from Saint John to continue his legal studies in London. He became a student of Joseph Chitty, and was admitted to the bar at the Inner Temple. While in London he met two other law students from his province, John Simcoe Saunders* and Ward Chipman. Jarvis returned to Saint John in 1816 to resume practising law. His position within the town’s élite was further strengthened by his marriage the following year to a member of another influential Saint John family active in commercial affairs, and he soon began to receive official attention. 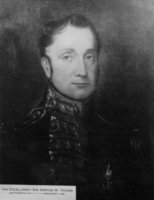 Following the death in 1821 of George Ludlow Wetmore*, clerk of the House of Assembly, Lieutenant Governor George Stracey Smyth* appointed Jarvis on 22 Jan. 1822 to replace him. 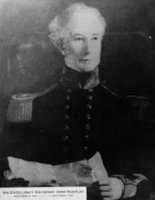 Shortly afterwards he was given a seat on the first board of commissioners of the city’s marine hospital, where he served with Alexander Boyle, his wife’s brother-in-law, and on 16 March he replaced Chipman as recorder for the city of Saint John during the latter’s absence in England. On 19 October, Smyth appointed Jarvis to an assistant judgeship on the Supreme Court left vacant when John Saunders* replaced Jonathan Bliss* as chief justice, and on 30 October made him a member of Council. The appointment to the bench encountered strong opposition from Solicitor General William Botsford* and his supporters, in particular Sir James Kempt, lieutenant governor of Nova Scotia, who thought the post should have gone to the solicitor general. When London overturned Smyth’s decision in the spring of 1823 and gave the office to Botsford, Jarvis went to England to lay his case before the government. In compensation, the authorities that July made him king’s assessor (similar to the office of attorney general) in Malta. He remained in that post until the end of 1827 when it was eliminated as part of a cost-cutting exercise. His next appointment was to replace Samuel George William Archibald* as chief justice of Prince Edward Island. When Jarvis was sworn into office on 30 Aug. 1828 he was the only professional jurist in Prince Edward Island. The post had had a troubled history there, including a series of singularly poor appointments. Several earlier chief justices, among them Thomas Tremlett* and Cæsar Colclough*, had been removed for their inability to walk the fine line separating the contending political and social interests. Jarvis, in contrast, put himself above politics, and he did know something about the law. In addition to his judicial duties, which at the outset lasted a fortnight thrice annually, Jarvis initially took his attendance at the Island’s Council seriously. There he was a moderating and conciliating force. His knowledge of the law revealed a number of problems in the administration of justice in the colony. On his arrival he found that members of the bar were “much given to habits of intemperance,” and he apparently conducted his court in a strict and professional manner. When one barrister who had been suspended for unprofessional activity appealed to the Privy Council, Jarvis’s concern over the success of the appeal was not that his decision had been overturned, but rather that his authority to improve the general character of the bar had been weakened. Although his court had several unpaid assistant judges, the burden of work in a jurisdiction where litigation was frequent and contentious fell upon the chief justice. He complained bitterly throughout his career about the workload, describing in 1830 a “very laborious sitting of the court – for ten successive days I did not get home till 8 in the evening & one day not until midnight.” Two years later he observed that the solicitor general alone held 68 briefs for civil trials. His first years on the Island were also full of uncertainty. Although he did not take entirely seriously rumours in 1832 of the annexation of Prince Edward Island to Nova Scotia, in which case he would lose his job, he was none the less hopeful of an appointment to New Brunswick that never came. Despite his complaints and ambitions, by 1833 Jarvis felt well enough established to begin development of an estate on land just outside Charlottetown. He intended the house to be of brick – not a typical building material on the Island but an understandable one for a man planning a family seat “for generations yet to come.” Most material was imported from England, and the construction was not completed until 1835, at enormous expense, more than “one hundred per cent upon the original estimates and contracts.” Furnishing was finished in 1836, and early in 1837 the Jarvises held a house-warming ball for 81 persons, although the private bedrooms had still not been painted. Mount Edward was a large, two-storeyed mansion, containing ballrooms and several other public rooms, a substantial number of bedrooms, two kitchens, and servants’ quarters. Nor was its size merely a matter of ostentation. The Jarvises had public responsibilities for entertaining, as well as children anxious for amusement through balls and dances, in addition to a large family circle, mainly resident in New Brunswick. Mount Edward typically housed not only the immediate family, but a minimum of three live-in servants and a constant assortment of permanent and temporary house guests, both kin and friends: the problems of travelling to the Island made long visits essential, but they were standard practice everywhere in the 19th century. Even with the help of servants, running this establishment was a major responsibility and expense, and Jarvis was forced to abandon it in January 1848 for smaller quarters; his son would return to Mount Edward after his father’s death. By the late 1830s both Jarvis and his wife were in continued ill health, the chief justice suffering from what was perhaps an occupational hazard but certainly a serious professional disability: encroaching blindness made it difficult for him either to read or to write. In 1839 Lieutenant Governor Sir Charles Augustus FitzRoy wrote to the Colonial Office expressing concern about the “very precarious state” of the chief justice’s eyesight and making his recommendation for a successor. Jarvis, however, did not resign. Despite his wife’s health problems and continual worries about money – the family enterprises in New Brunswick upon which he relied to supplement his salary were not prospering – Jarvis was advised by Island doctors to travel to England to seek relief for his affliction. He left Halifax on his own in June 1841, and two months later his wife suddenly died. She had not felt up to the journey, but had kept her pain from her husband. Upon his return to Charlottetown in November, Jarvis was on the verge of a nervous breakdown, with financial worries, family responsibilities, and guilt about leaving his wife intermixing to produce a severe depression. As he himself described it, “I cannot shake off the dreadful weight & oppression which hangs increasingly upon my spirits & the slightest exciting cause wholly overpowers me. . . . The utmost indifference to every passing event & occupation possesses me & I cannot overcome it.” He carried on with his judicial duties – increasingly dependent on his salary for his livelihood – but without enthusiasm or commitment. Although his eyesight temporarily improved, other ailments took their toll and he began to experience ever greater problems in administering the judicial system, particularly after his eyes again gave out in 1843. Despite his problems some rejuvenation came to Jarvis that year when he unexpectedly remarried. The decision was taken because his eldest daughter, who had been running the large household, decided herself to marry. “The want of eyesight, to read,” Jarvis bemoaned, “makes me extremely helpless & forlorn.” After marrying Elizabeth Gray, one of his first wife’s closest friends and her own choice as her successor, Jarvis re-entered the Charlottetown social whirl, boasting proudly of his renewed ability to be at a ball until 3:00 a.m. and in his court-room a few hours later. For several years his public activity ebbed and flowed with his health and personal situation. When in September 1847 Elizabeth died giving birth to their third child, Jarvis again went into a deep depression, feeling “wholly unfit for any business” and anxious to “leave the Island for as long a time as I can remain absent.” He continued to sit on the bench, but pressed the assembly with increasing urgency for an assistant judge, adding in one family letter, “Were it not that my children require my assistance, I think I would at once resign my office, if I could get any small retiring allowance.” In 1848 the assembly finally provided a grant of £400 and passed a bill to appoint an assistant judge and master of the rolls, a measure first proposed in 1831. Jarvis’s relief was short-lived, however, for his salary was one of those affected by the concessions involved in the granting of responsible government to the colony in 1851. The legislation greatly reduced the payments to Jarvis and exacerbated his financial problems. The salary reduction led to continual friction with the assembly and the Colonial Office until his death on 9 May 1852. He was succeeded by Robert Hodgson*. Jarvis had always tried to remain politically neutral. 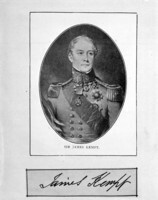 When public opposition to Lieutenant Governor Sir Henry Vere Huntley* reached the point where the House of Assembly in 1846 censured him by a vote of 19 to 3, Jarvis observed, “I almost stand alone in having had no personal collision with His Excellency.” On the whole, Jarvis’s relative lack of involvement in Island politics, especially in his latter years, probably worked to his advantage. Although there were those who would have preferred a Supreme Court with a higher profile, most political factions on the Island were content to allow Jarvis to continue. N.B. Museum, Jarvis family papers; Reg. of marriages for the city and county of Saint John, book A (1810–28): 94. PAC, MG 24, B13. PANB, MC 288, MS8a, 12 Oct. 1811; Trinity Term, 1820; RG 2, RS6, A3: 103, 150, 157–59; RG 18, RS538, B5, pt. 1: 43, 63, 66. PRO, CO 158/36: 1287; 158/56: 2902; 159/5, 7–8; 226/54: 238. St Paul’s Anglican Church (Charlottetown), Reg. of marriages, 12 Dec. 1843 (mfm. at PAPEI). Supreme Court of P.E.I. (Charlottetown), Estates Division, liber 5: f.191 (will of E. J. Jarvis). P.E.I., House of Assembly, Journal, 25, 26 April 1831; 14, 23 April 1841; 8 March 1848; 31 March 1851. Royal Gazette (Charlottetown), 10 May 1852. The calendar of King’s College, Windsor, Nova Scotia (Halifax), 1880–81: 63. The Jarvis family: or, the descendants of the first settlers of that name in Massachusetts and Long Island, and those who have more recently settled in other parts of the United States and British America, comp. G. A. Jarvis et al. (Hartford, Conn., 1879), 28–29, 60. “Provincial chronology,” New Brunswick Magazine (Saint John), 2 (January–June 1899): 285. An Island refuge: loyalists and disbanded troops on the Island of Saint John, ed. Orlo Jones and Doris Haslam (Charlottetown, 1983), 120–21. 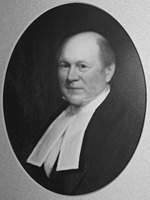 Lawrence, Judges of N.B. (Stockton and Raymond), 240, 270–79. J. M. Bumsted, “The household and family of Edward Jarvis, 1828–1852,” Island Magazine (Charlottetown), no.14 (fall–winter 1983): 22–28. J. W. Lawrence, “The first courts and early judges of New Brunswick; read before the New Brunswick Historical Society, November 25, 1874,” N.B. Hist. Soc., Coll. (Saint John), no.20 (1971): 8–34. W. O. Raymond, “New Brunswick schools of the olden time,” Educational Rev. (Saint John), October 1894: 89–90. J. M. Bumsted and H. T. Holman, “JARVIS, EDWARD JAMES,” in Dictionary of Canadian Biography, vol. 8, University of Toronto/Université Laval, 2003–, accessed April 26, 2019, http://www.biographi.ca/en/bio/jarvis_edward_james_8E.html.